This ain’t your grandma’s wheelchair. 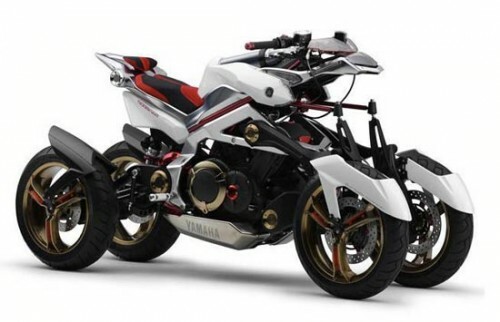 Looks like a street legal ATV aka crotch rocket with 4 wheels. it’s an excuse for people with too much money and little brains to ride a “motorcycle” without having to get a motorcycle operator’s licence. Utter crap for rich idiots. It looks like a Transformer that got stuck half-way through. I can only imagine the retards out in the streets riding these. While it looks kewl there is something about quads that attract the lowest common denominator. It just keeps getting uglier every time I look at it. looks cool- but can you ride it in the HOV lanes?? I think the name of it is rather pretentious for what is really an old and dull idea. @sylvanish: Well, if you think of it as a motorcycle in an extra dimension, then the name is quite fitting. But I can’t see how this is an old idea. Quads are designed much differently from this.